Save 61% while supplies last! 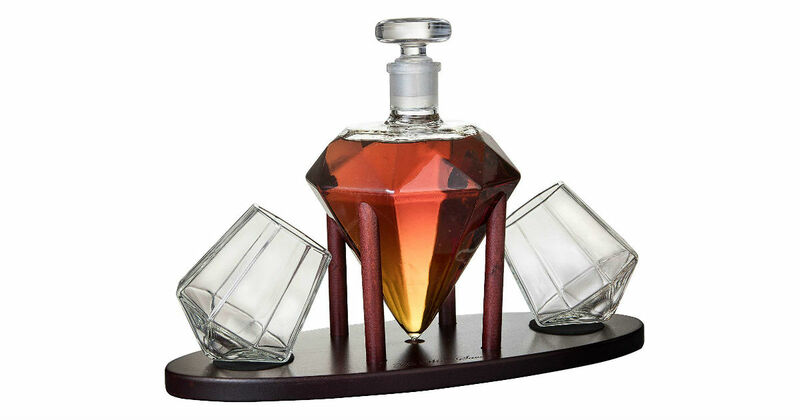 Get this beautiful Diamond Whiskey Decanter with 2 Diamond Glasses for only $46.49 on Amazon, regularly $120.00. This is a hand crafted carefully constructed decanter with diamond glasses. Comes with a symmetrical mahogany base.